The Morocco Desert Challenge continued on Friday with its sixth stage, which was 306 kilometres long. Ales Loprais managed to finish second despite a very challenging Moroccan environment and he stays in the overall lead. He now has an advantage of more than half an hour ahead of the others. "We had a comfortable lead for almost three-quarters of today's stage, thanks to our speed in dunes. It was one of the most beautiful stages we've ever done, even the guys in the cabin liked it. Unfortunately, then we paid the price for being the first ones on the roads," said Ales Loprais after finishing today's stage. 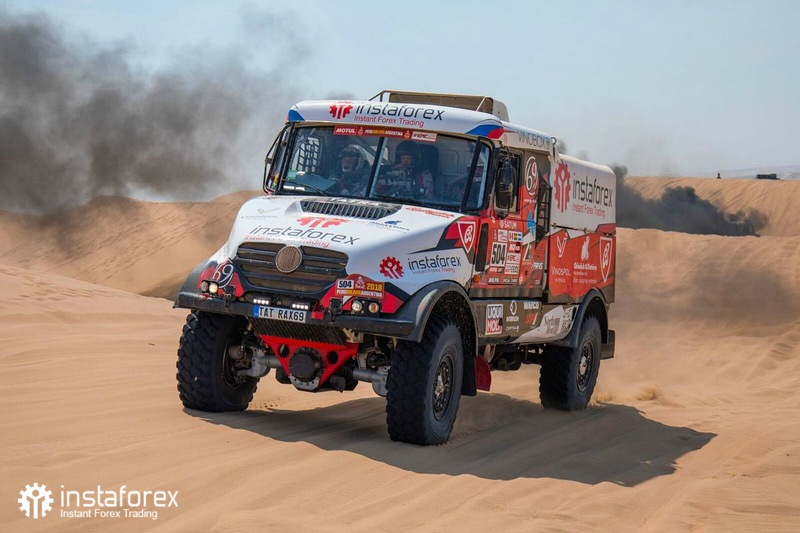 Although the Instaforex Loprais Team driver started third, as the starting order is defined by results of a previous stage, he quickly moved into the lead as others struggled in the dunes. "It was very difficult in stone valleys and we lost a bit of time there. That helped Van den Brink to catch us and so it's only the second place. It was sort of a mix of everything today, with sand, rocks, riverbeds, large dunes, small dunes, camel grass etc. It sorts of reminded me the good old original Dakar, in which we had finished third," added Loprais. There are only two more difficult stages to go in the Morocco Desert Challenge. Competitors will have to cover 410 kilometres tomorrow and then 220 more on the final day.